A “fluid orthotic”, Hydrothotics contain food grade glycerin in a specifically-calibrated volume to provide maximum benefit for the shape of your arch. 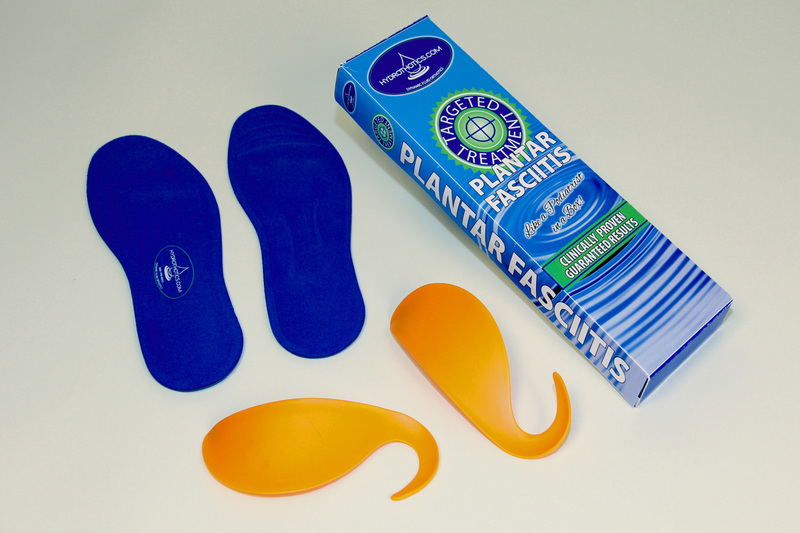 Hydrothotics also provides increased blood flow to the inflamed areas and cushioning to reduce pain. In each step you take, the lower parts of your foot – the heel and the ball – come into contact with the Hydrothotics before other parts of your foot. That pressure forces fluid into the highest unsupported area – namely the arch – and gently but firmly pushes it upward into healthy, natural alignment. 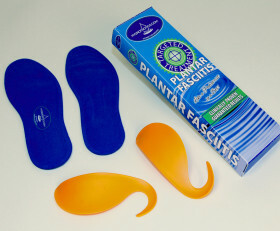 Our proprietary orthotic device worn under the fluid orthotic delivers additional arch support. Because of its flexibility, circulation is not restricted while support is optimized. In combination, these two elements assure maximum circulation to and support of the fascia band. Steady, natural healing follows. Even more, immediate reduction of stress on the fascia band reduces pain before complete healing happens.